Under the slogan "Disrupt Agriculture", the 1st edition of START-UP DAY will take place on February 8, 2019 at Fruit Logistica, Berlin. On the Friday of the show, Hall 9 will become a networking center for start-ups and established companies from all sectors of the value chain. The Start-up Area will be the ideal place for those who want to get in touch with start-ups and possibly do business. The Start-up Stage will be another highlight of this day. Start-ups will present their ideas, technologies and vision for the future. 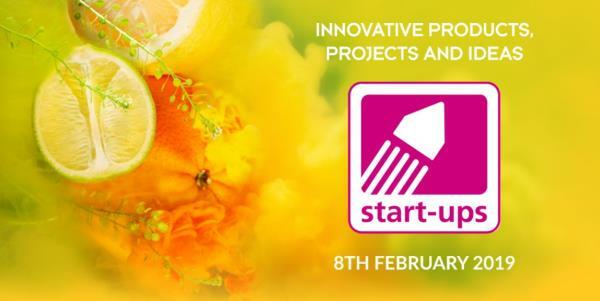 All start-ups that develop smart solutions to improve efficiency and sustainability in the Fresh Fruits & Vegetables sector can apply to participate in this Start-up Day. In particular, B2B business models and innovative technologies from the AgTech, Digital Farming, Crop Science, Postharvest Technology, Logistics / Supply Chain Management, Packaging and Packaging Technology sectors. Participation in Start-up Day is free. The selection will be made by Messe Berlin. Interested start-ups can apply until November 19th.